Model: X5680. These are 6 Core / 12 Thread CPUs running at 3.33 / 3.6 Ghz with Turbo Boost for a total of 12 cores and 24 threads. Pulled from a working system. Base Frequency 3.33 GHz. Max Turbo Frequency 3.60 GHz. Condition: Used Pull From Working Unit! 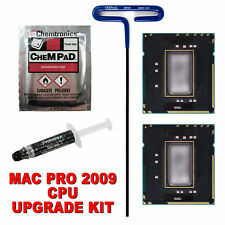 Scratch on Top of CPU! Puerto Rico or Virgin Islands. "Sold AS PICTURED". 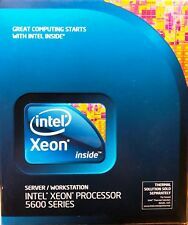 Processor Model: Xeon X5680. Multi-Core Technology: 6 Core. Condition: Used Pull From Working Unit! Puerto Rico or Virgin Islands. "Sold AS PICTURED". 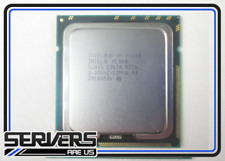 X5680 / SLBV53.33GHz 12MB 6.40GT/s LGA1366 Processor / CPU. attached (the item you get similar to the one in the pic), the item is. The order cannot be combined or modified after checkout has been completed. checkout before your order will be cancelled. Puerto Rico or Virgin Islands. "Sold AS PICTURED". 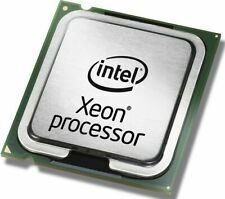 Processor Model Xeon X5680. 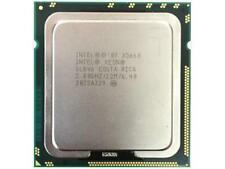 CPU Socket Type LGA 1366/Socket B. Processor Quantity 1. Product Type Processor. 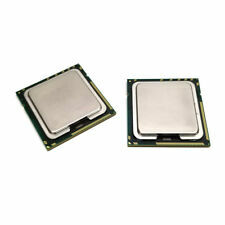 Compatible Slots 1 x processor - LGA1366 Socket. Multi-Core Technology Six Core. Type Advanced Smart Cache. 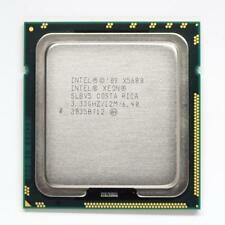 Modell Xeon X5680. Prozessortyp Xeon. 1x Syringe Grey Thermal Grease Paste Silica Gel for CPU Chip Heatsink. We will fill in the lower declared value on the parcel to avoid tariffs. Plattform PC.